Older: Russia Frets About a “Libya Scenario” for Syria Newer: ‘Voters, I Shrunk the Nation’ – A Slogan for Russia’s Elections? 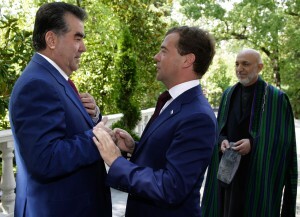 After the traditional bread and honey welcome ceremony at the airport, he met behind closed doors with Tajikistan’s defense minister and discussed future uses of Ayni. This former Soviet airbase was re-commissioned last month near Tajikistan’s capital. India had quietly renovated the base and its 3-kilometer landing strip to the tune of $70 million. The Chinese, who recently built roads to Tajikistan from east, told Dushanbe there is no hurry to pay off their $1 billion foreign debt to Beijing. And to clear the diplomatic decks for a solid relationship, Beijing has dropped its claim to 20 percent of Tajikistan’s territory. In a final border settlement this year, Tajikistan signed over to China about one percent of its eastern mountains. Within months, Tajik and Chinese soldiers were participating in a joint anti-terror drill in Western China. And, as Russian language skills whither among a new generation of Tajiks, China has opened a Confucius Institute in Dushanbe to promote the study of Mandarin. Not to be outdone, Iran’s President, Mahmoud Ahmadinejad, also flew into Dushanbe last month. He brought words of good cheer for this fellow Persian speaking nation. He and President Rahmon inaugurated a new hydroelectric plant, and signed accords for Iran to build a second one. Tweaking Russia, Iran’s defense minister, Sherli Khairulloyev, said that if Tajikistan ever has any security problems, their Persian big brother is only a two hour flight away. 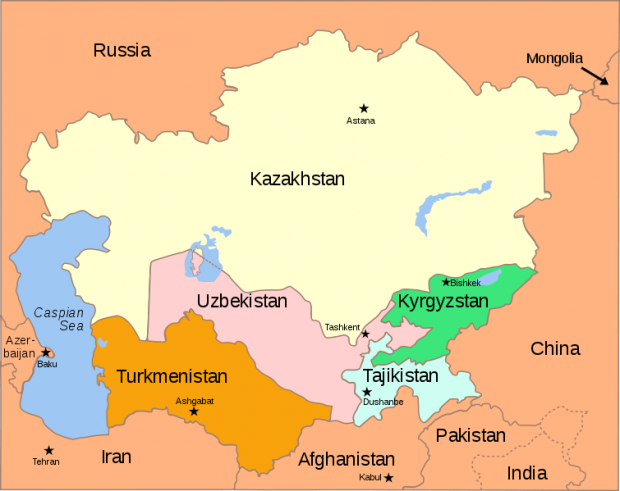 (So far, neighboring Uzbekistan and Turkmenistan have proved to be wet blankets. When President Ahmadinejad sent a ceremonial guard to Tajikistan for its independence day parade last month, these two Turkic-speaking nations closed their air space to the Iranian military plane, forcing it to fly over Afghanistan). Hmm, am I forgetting a player here? Of course, my country, the USA! Marc Grossman, U.S. Special Representative to Afghanistan and Pakistan, was due to come to Dushanbe on October 6, as part of fast-paced 12-nation tour. But, an “Afghan,” a massive dust storm blew in from the south, blanketing Dushanbe in dust, and shutting down the airport. No worries. Grossman’s staff tore up his schedule, and found time for him fly into Dushanbe the following day. Since 2003, the U.S. has built border posts, barracks, bridges and now a special forces training center in Tajikistan. Two weeks later, it was the turn of U. 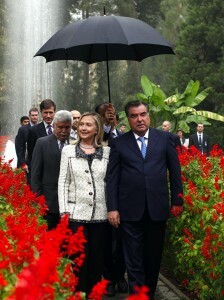 S Secretary of State Hillary Clinton to make her pilgrimage to Dushanbe. She walked the new gardens with President Rahmon, thanked him for his help on Afghanistan, and admired his big, new flagpole. (The world’s largest, American designed; see my recent story: http://www.voanews.com/english/news/asia/Worlds-Tallest-Flagpole-Flies-Worlds-Largest-Flag-in-Tajikistan-131326214.html ). Get the big picture by now? Central Asia’s Great Game is back in play. Setting the pieces in motion is Washington’s new timetable that reduces American current troop levels in Afghanistan by one third by Election Day 2012 – about one year from now. Setting those pieces into faster motion is Washington’s new, speeded up timetable for Iraq: get all American troops home by Christmas – about 60 days from now. If there is one place where America’s Tea Party and Occupy Wall Street movements converge, it is this: stop funneling billions of dollars into overseas wars. In Moscow, the slow moving Russian foreign policy establishment belatedly realizes this. For most of the past decade, Russian officials and analysts happily talked on auto-pilot, taking potshots at the horrible American intervention/invasion/occupation of Afghanistan. Now, the Kremlin is getting what it so loudly wished for. It has finally dawned on Russia’s leadership that, for the last decade, American taxpayers footed the bill for what historically was Russia’s job: keeping Islamic holy war out of Central Asia. Russia’s change of heart is too little too late. American politicians, facing reelection one year from now, are probably not listening to Moscow. In relation to Afghanistan, Tajikistan can be seen, roughly, as Pakistan of the north. About 40 million Pashtuns straddle Pakistan’s 2,430-kilometer long northern border with Afghanistan. About 16 million Tajiks straddle Tajikistan’s 1,206 kilometer long southern border with Afghanistan. Since the 1980s, Pakistan has played its Pashtun card to the hilt, seeking to install a friendly regime in Kabul. Since the 1980s, Russia, and more recently, India have played their Tajik card to the hilt, bolstering a Tajik-dominated coalition, known as the Northern Alliance. This is not just history. In recent days, India’s press has run reports that Delhi is offering to Dushanbe to reopen Farkhor, an air base that India maintained in Tajikistan until 2003. Located only five kilometers from the Afghan border, Farkhor also had a 25-bed field hospital that treated wounded Northern Alliance fighters. 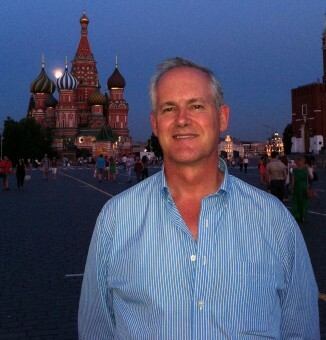 Certainly the tendency of crowding Russia out of the Great Game in Central Asia will continue on. Eleven years of Putin’s autocratic ruling have weakened combating capability of Russian Army. It was apparent in the Caucasus war. All his efforts were concentrated in crashing his opponents, harassing his people and prolonging his grip to power. He was unable to solve demographic and educational crises which deepened shortage of competent personal now the Army experiences. Resources were plundered, defense industry came to shambles. 90% population in poverty, 22% young people aspire to emigrate. Now we witness the consequence. Demographic problem in Russia exist only in the minds of Americans and Europeans because of stupid western media are wishful thinking. And it’s thanks to Putin.To date, the demographic problem in Russia is much less than in Europe, which does not change its size only due to emigration. And when you consider that in Russia there are half the male population of Tajikistan full article garbage. It reflects Western Wishlist rather than what it actually is.